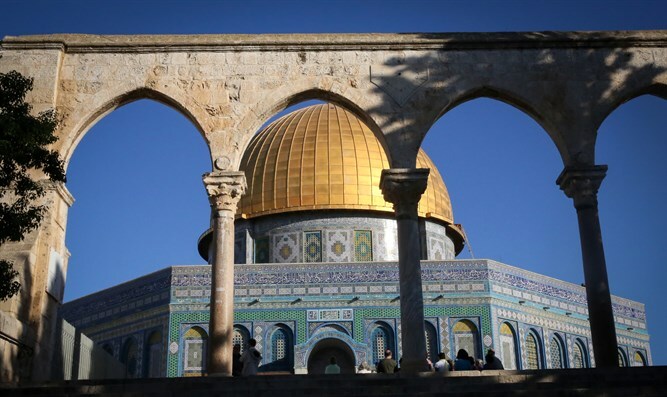 A vote to deny the Temple Mount's Jewish significance was delayed, after Israeli diplomats outflanked the resolution's instigators. In a diplomatic victory for Israel , the UN's Educational, Scientific, and Cultural Organization (UNESCO) has shelved for the time-being a controversial vote on a draft resolution that would divorce the Temple Mount from its Jewish heritage. Minutes to the wire, the proceedings were postponed, as the proposal's Jordanian and Palestinian sponsors could not muster enough votes to pass the resolution. Israel has been working around the clock to prevent another international blow, like the vile anti-Israel resolution passed by UNESCO in April. Director-General of the Israeli Ministry of Foreign Affairs Dore Gold sent out a letter Monday urging other UN members not to vote for the "offensive" resolution. "We urge you to oppose this effort to distort history, which will offend the members of the Jewish and Christian faiths, and undermine the credibility of UNESCO in the future," Gold wrote. Prime Minister Binyamin Netanyahu also made public statements, to that effect. The documents also names the Western Wall plaza in quotation marks, after using the Arabic term Al-Buraq Plaza without qualification. According to the agreement Israel made after it re-captured the area, non-Muslims are allowed to visit the site, but not to pray. The Palestinians claim Israel is seeking to change this "status quo"; Israel denies the charge.